As announced earlier this week (http://www.leagueoflegends.com/board/showthread.php?t=109717), Riot Games will begin directly operating League of Legends in Europe in the near future. Please find below the answers to your most frequently asked questions about what this means for you. Q: What does this mean for players? Will we lose what we have on our accounts? A: No worries, we will not be erasing, wiping or modifying your accounts in any way. You will keep your riot points, influence points, Summoner name, level, win/loss track, unlocked champions, champion skins etc. Q: When will this transition occur? A: The transition will be done in steps over the next few weeks. We'll be posting another announcement with more information about the transition as soon as possible. Q: Will the game servers remain in Europe? 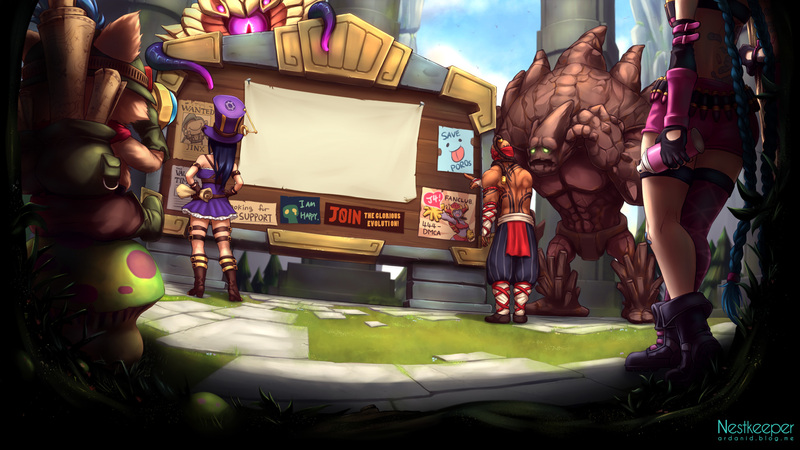 A: Yes they will, the new League of Legends game servers will be in Germany. Q: Will the North American and European player bases be merged? A: No they will not. Each service will be run independently, with the same level of care on both sides of the Atlantic. Q: Will EU players be banned from the US servers? A: There will be no access restrictions in any way, shape or form between North America and Europe. Q: Can we transfer our accounts from one platform to another? A: This is not currently an option, but might be something we could explore in the future. Q: Will the European community management team change? A: We will be working hand-in-hand with the current European community management team to make sure this transition is as seamless as possible for you, the players. Once the handover has been finalised, members of the current European community management will be following a variety of paths following their own personal aspirations, plans and desires. Q: Will Riot Games keep supporting French, German and Spanish? A: We will continue to support League of Legends in all the same languages currently supported. Each community will have its dedicated community manager and will receive the same attention as the North American community. Q: Will the European forums remain separate? 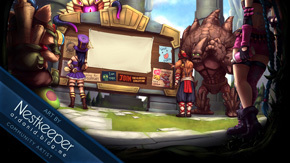 Q: Will Riot keep the forums as they are? A: The forums will receive a number of improvements, will be slightly restructured and will be reset (which means all existing posts and messages will be deleted, so make sure you back-up anything you want to keep). Q: Does this mean we'll have the same features in Europe and in North America? A: Yes it does. The quality of service will be the same on both sides of the Atlantic, with players enjoying exactly the same features. Shortly after the transition, during our European beta, we will be launching the refer-a-friend programme, the Facebook Tristana skin etc. All future features will be implemented on both continents. Q: Wait... what!? Did you just say European Beta? A: Yes we did. We'll be in beta in Europe for a short while during which time we will work out any potential kinks and bring currently unavailable features to Europe. Have no fear though, you will still have access to the game as usual, this just means that we'll be making sure everything is up to the very high standards of quality we've set for ourselves. Q: Will we have to download a new game client? Q: Will Riot take care of pre-order skins? A: The pre-order skins will have been sent by the time Riot's European servers open. Pendragon good job with keeping this guy seems like he is pretty organized. Anyways, congratz on getting this new job and hope all the European players will enjoy this change. why did he put his name after "cheers,"? I live in Germany, studying an would like to work at the LoL development here, what and how can I do it? Lol, this is a joke... nice job RIOT, thanks for nothing. 1. No account transfer - Do you seriously think I'm going to spend another 6 months and another 50$ on your game just so I get all the runes and heroes I have on my current account? 2. EU shop - Why would I want to pay 19% VAT buying stuff from the store on the EU version when I can get it without on the US version. 3. No restrictions to EU players playing on US - Considering what I said on #1, I'd say 90% of the people who made purchases from the riot store, will NOT want to start over on the EU version just for the sake of lower ping. 4. Open beta - Are you serious? Given all the 1-3 issues above, do you seriously think anyone at all will want to move to an open beta on EU? So let's do an overview... you are offering... low ping (personally I would have around 30-40 with servers in Germany, which is great), and you expect people to trade off: many months of xp and ip, their entire "track record"/score, all the money they spent on the game, and a +20% (depends on EU country) VAT price increase on the store... ??? I have only one thing to say about this... LOL! There are many ways you can help. If you want to do it as a hobby, posting constructive and useful feedback, reporting potential bugs or helping your fellow players are great ways of contributing. If you want a job, you have to keep an eye on the Career (http://www.riotgames.com/careers/) section of the Riot Games website.